“All the berries” today at the Lloyd Farmers Market! 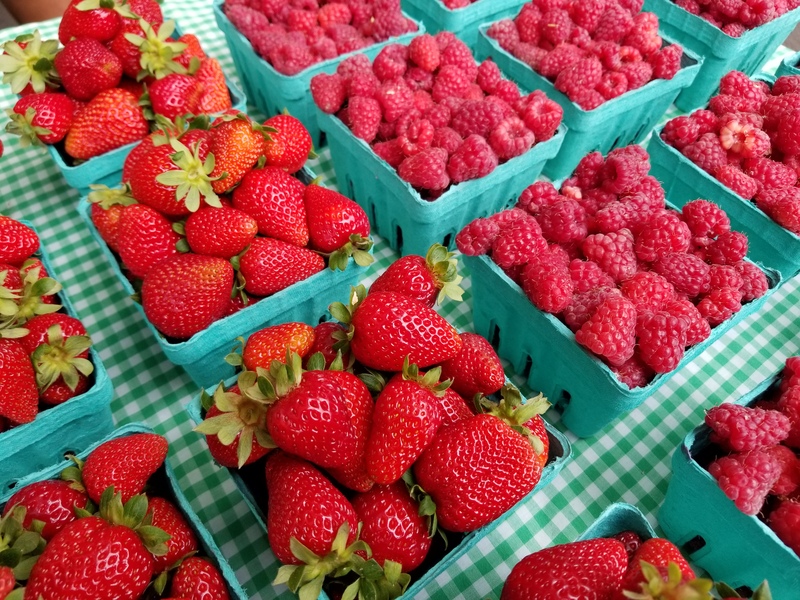 Today there are berries galore at Lloyd Farmers Market! 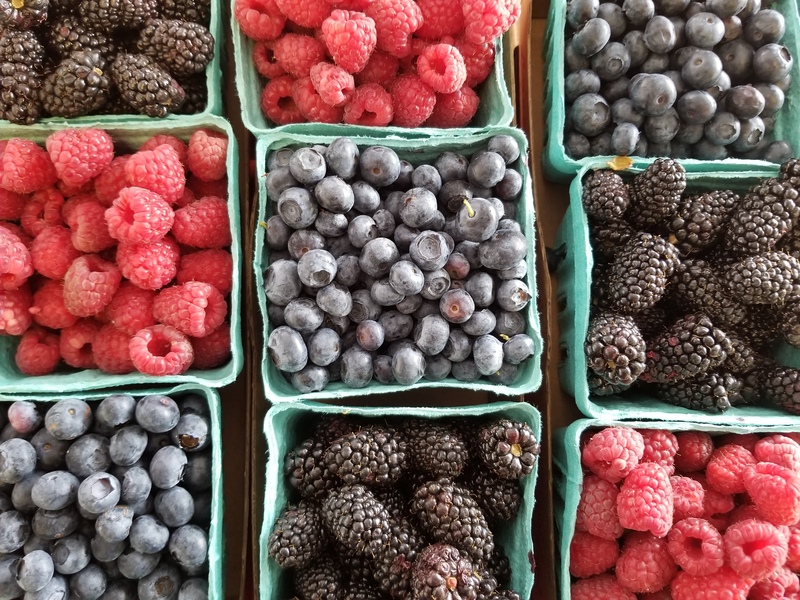 Between Greenville Farms, Unger Farms, and Valley Berry Farm, we have strawberries, raspberries, blueberries and blackberries! And if you want something more unique, Udan Farm has black mulberries, harvested from the trees on their farm. For you coffee drinkers out there, Intent Coffee Roasting is now partnering with Intentional Espresso to offer espresso drinks at the farmers market, made with Intent’s beans! Come by and check out their new cart; of course, pour over and bags of beans are still available. Our live music season continues today, with Eric John Kaiser playing from 11am to 1pm. Next Tuesday July 4th, the Lloyd Farmers Market will be closed for the holiday. We’ll return July 11th. 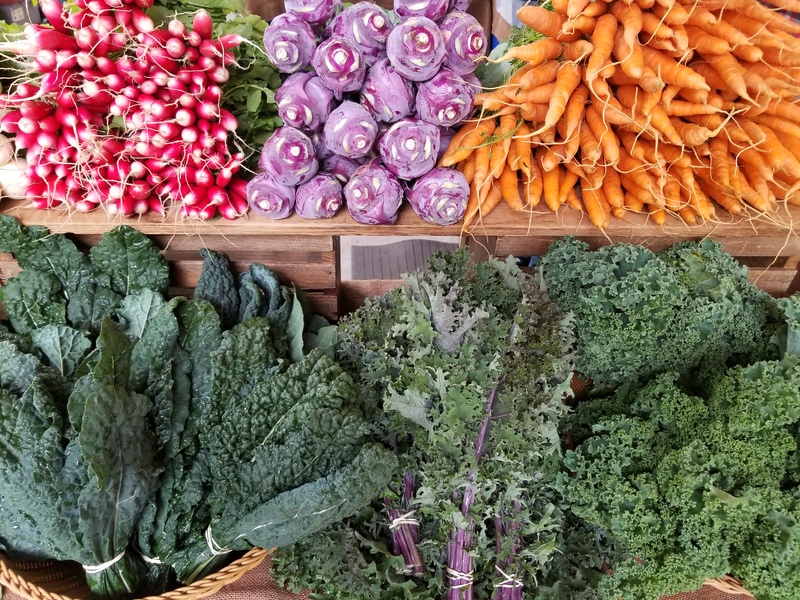 Check below for more photos and a full list of vendors at the market today. See you at the market!